The direct and reflected GNSS signals can be inverted to geophysical quantities that could be used for biomass (the quantity of living plant material) mapping that is essential for many applications. In recent studies, GNSS-R measurements indicated an evident decrease of LR reflectivity as a function of forest Wood Volume WV (or biomass). In COREGAL, we extend these studies for Galileo signals and develop a system prototype for its' demonstration. GNSS-R could be an excellent complement to existing earth observation techniques of measuring biomass on a local scale or in combination with large data sets (e.g. satellite derived data). 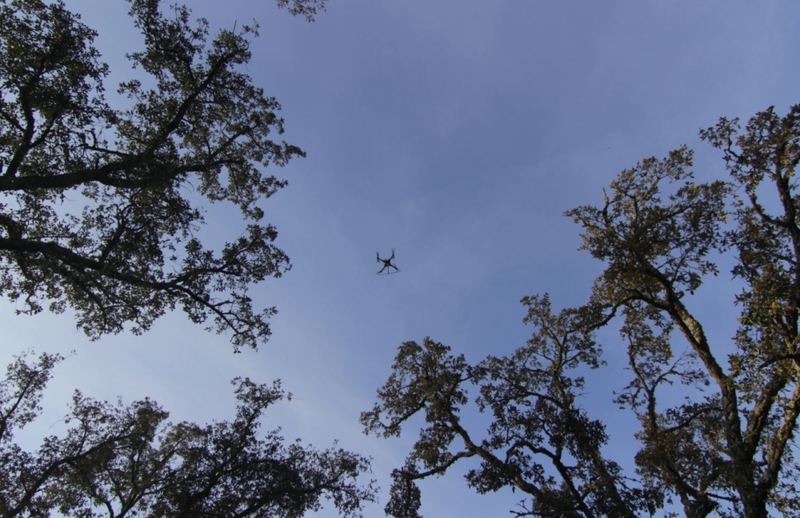 Indeed, airborne scanning with LiDAR is already considered operational for some forestry applications while satellite and other airborne optical techniques are also used operationally. Existing techniques typically require DEM and cloud-free coverage while Radar although immune to such problems can be expensive to operate and typically saturate with high biomass levels. With GNSS-R and COREGAL we target a new low-cost sensor to be installed on a UAV to generate local data that does not present saturation effect and less dependent on visibility constraints. In COREGAL we are mainly focussed on living terrestrial above-ground vegetation biomass, in particular, woody biomass. There are many factors that change a forest biomass, such as wood harvests, ground fires and other natural disasters, shifting cultivation, browsing, accumulations of biomass in growing and recovering forests. Thus keeping an up to date biomass map is quite a challenge due to the always changing environment, which is further complicated by disparate techniques and methodologies to measure biomass with obvious impact on the accuracy of the maps. Biomass stocks are key parameters in assessing the economic, conservation, and biofuel potential of land surfaces. Each country is responsible for keeping up-to-date maps. Biomass maps allow estimate carbon stored in different forests, with environmental consequences on climatic and non-climatic global change as a result of continued global population and economic growth and expanding land use. Biomass maps allow deriving carbon maps, which are key for carbon accounting, helping to provide factual ground related decision making. Climate change research and mitigation activities. Depending on the quantity of biomass the vegetation cover can have a direct influence on local, regional and even global climate, particularly on air temperature and humidity. Avoiding biomass losses from deforestation and forest degradation could be planned.